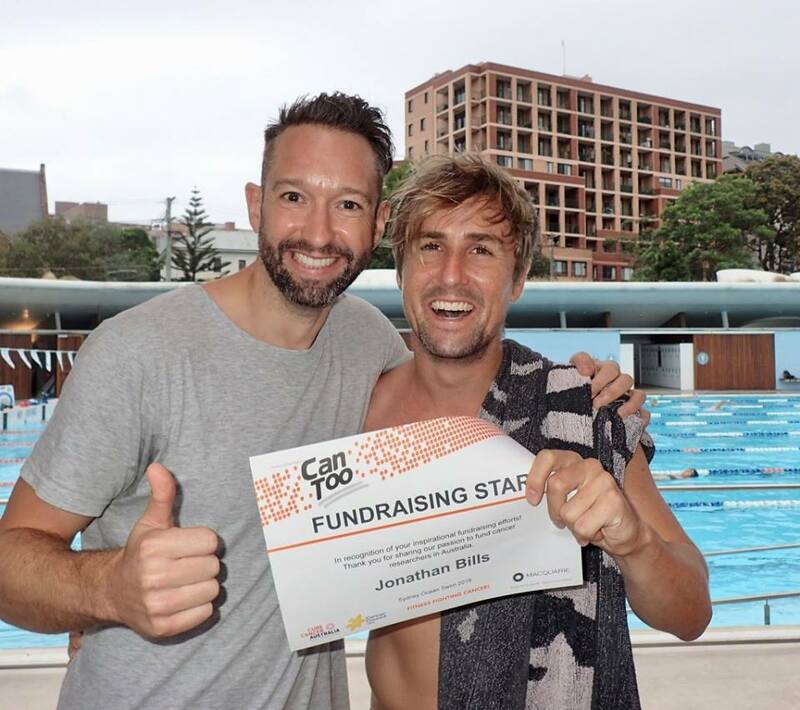 We’re super proud of this legend, Jonathan Bills, who will be swimming the Can Too Foundation Ocean Swim this Sunday, the 10th of February, in Bondi. #cantoo is a fantastic charity transforming lives through improving health & wellbeing, supporting the research, prevention, care & control of cancer. 1 in 3 women and 1 in 2 men will be diagnosed with cancer in their lifetime. Those stats are ridiculous. This means that potentially someone we love may have to battle cancer, and that’s a statistic that needs to change. Can Too invests in 158 one-year cancer research grants through major beneficiary Cure Cancer Australia and collaboration beneficiary Cancer Council NSW. The Can Too Foundation is committed to supporting Australia’s brightest and best cancer researcher – no matter where their research is based. A number of massive breakthroughs have been made and there will be many more to come.